gp running in an X terminal: , , (to be continued). 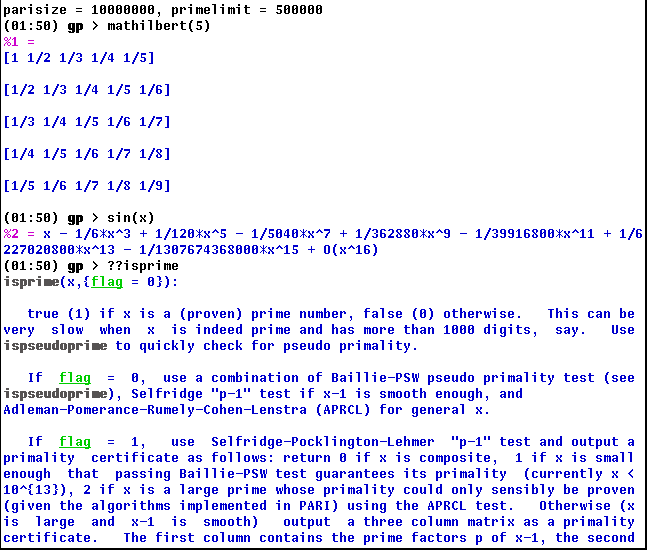 SageMath (GPL) is a Python framework acting as a front-end for many mathematical software. Developped by William Stein and many others. GNU TeXmacs (GPL) is a powerful Wysiwyg editor, which can be used as a graphical frontend for computer algebra systems, in particular gp. Developped by Joris van der Hoeven and many others. WIMS (WWW Interactive Multipurpose Server) allows you to work on mathematics interactively via the Internet. It heavily depends on GP. Pari-TTY was a Windows-specific GUI for PARI, written by Gottfried Helms. 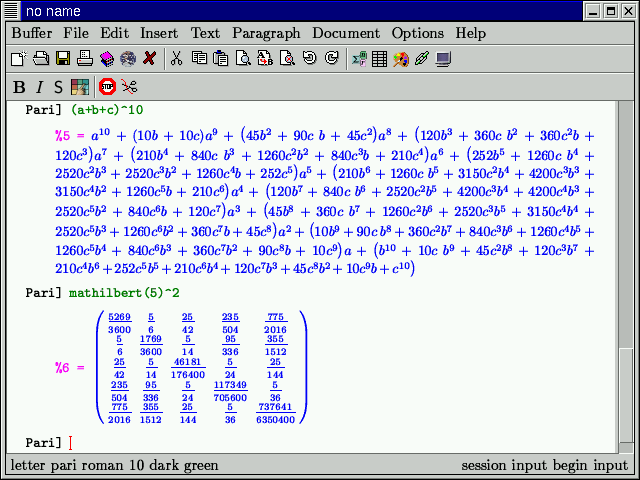 MathGUIde is Graphical User Interface for gp, based on Python, with a PARI plugin (Windows, Mac, Linux), written by Hartmut Ring. An ancestor PariGUIde is no longer maintained. Ipad: How to get PARI/GP running on an iPad. 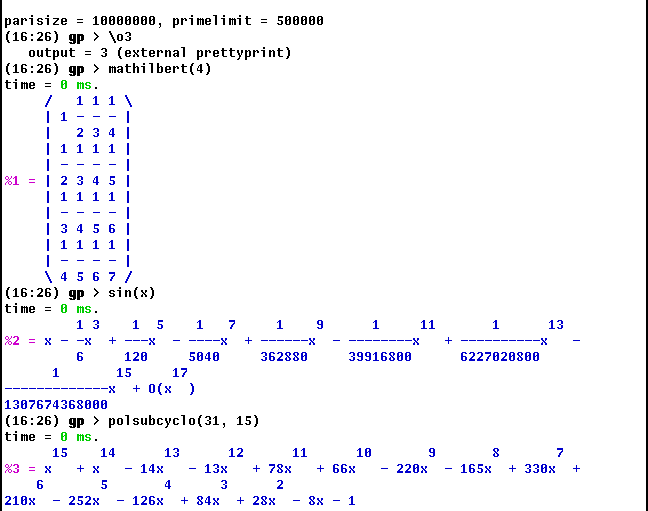 Math::Pari is a Perl interface for PARI. GNU CLISP (an ANSI Common Lisp) offers an interface to PARI.